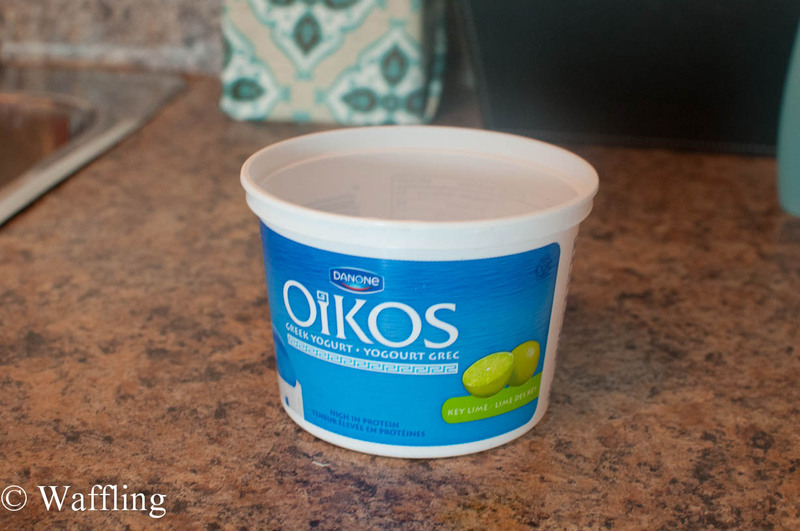 It don't think it is any secret that I love greek yogurt. I eat so much of it that I am probably going to turn Greek (that's how it works, right?). Part of eating a lot of greek yogurt means that I am constantly tossing yogurt containers in the recycling. This weekend I was inspired to try and reuse one in some way. 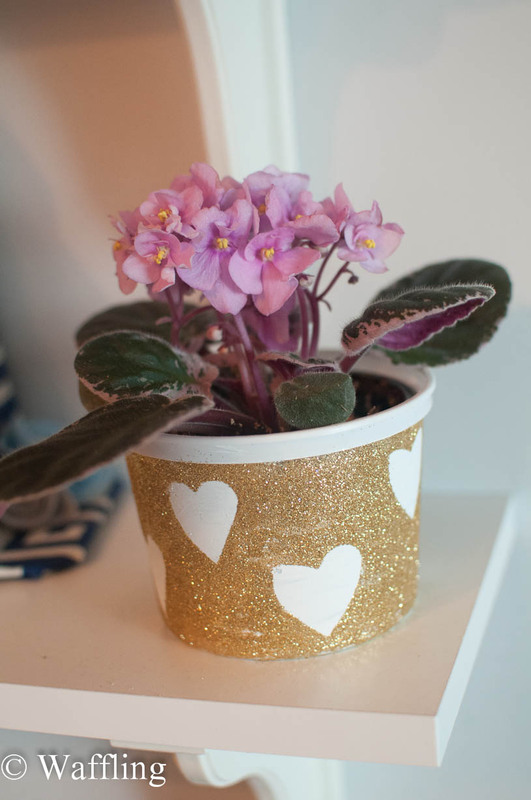 I thought around to what I needed in the condo and I decided a new flower pot would be right up my alley! There is a great flower store on my way home from work that sells potted flowers for like $2, so I am always picking some up (since I kill them so fast haha) and it would be nice to have a second flower pot in the condo. First thing I did was thoroughly clean the container. 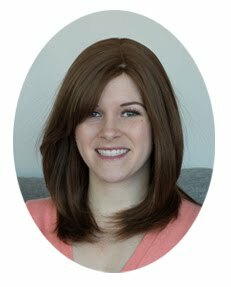 I don't need the condo smelling like moldy yogurt! 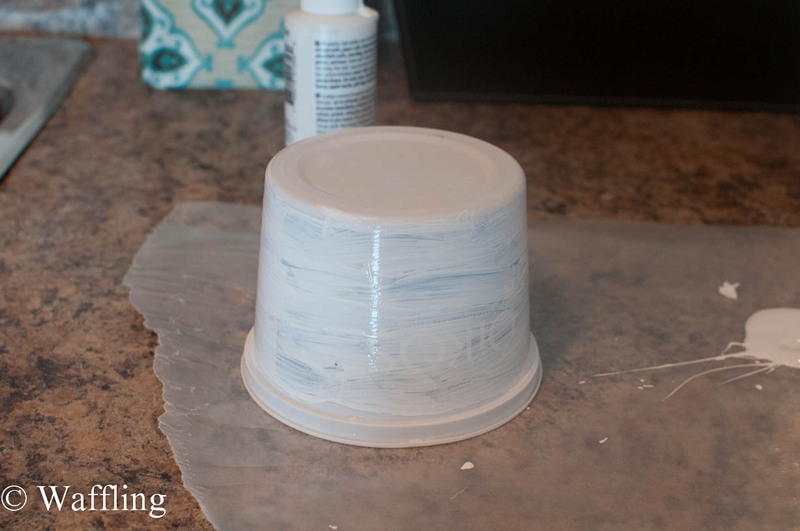 Then, I painted the container white using craft paint from the dollar store. I did two thin coats and got pretty good coverage. This photo was only after one. Once it was dry, I cut hearts out of frog tape and stuck them in a pattern around the container. I freehanded them, but I thought they came out pretty cute! 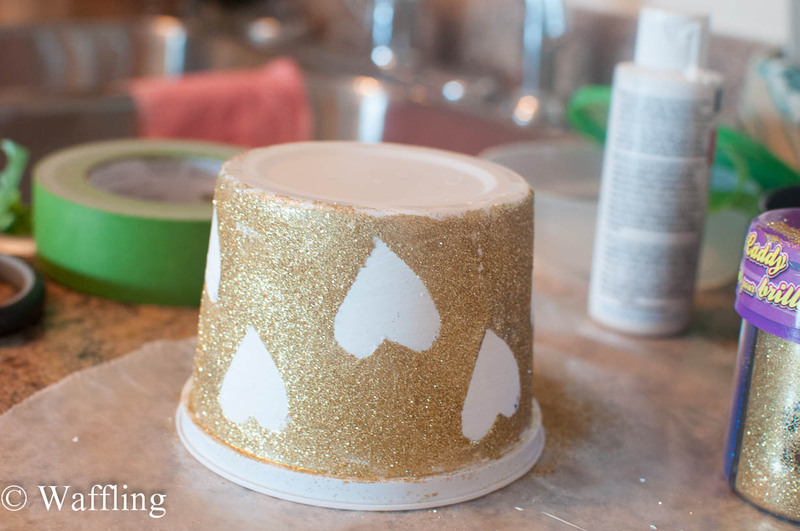 Then I covered about 1/4 of the container in white glue and sprinkled gold glitter all over it! 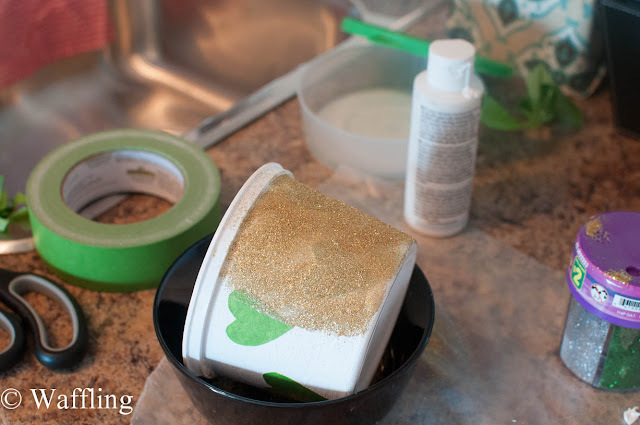 The glue and glitter were also from the dollar store- this was a very budget task! I worked my way around, one section at a time. 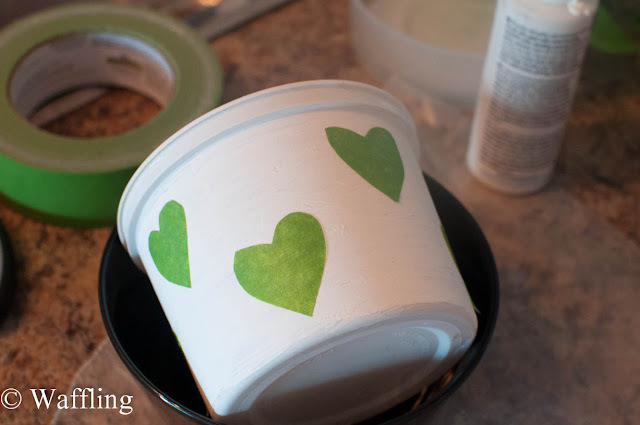 As soon as I was finished, I carefully pulled up the frog tape hearts. I didn't want it them to end up getting glued down when the glue started to dry. I then let it dry before going back and fixing a few white spots and cleaning up the rim. Finally it was done and ready to host some new pink African Violets I had picked up at the grocery store! 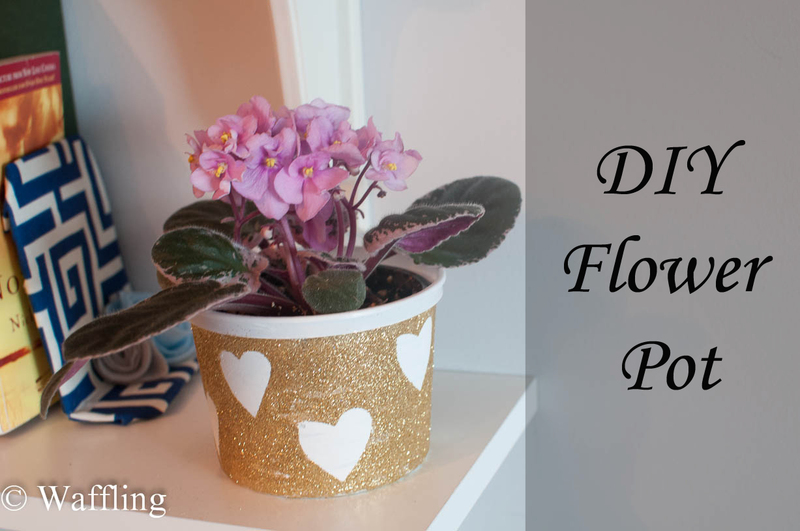 I think it turned out really cute for a free project! Now I just need to find something to do with the other 5000 yogurt containers I have in the recycling bin!